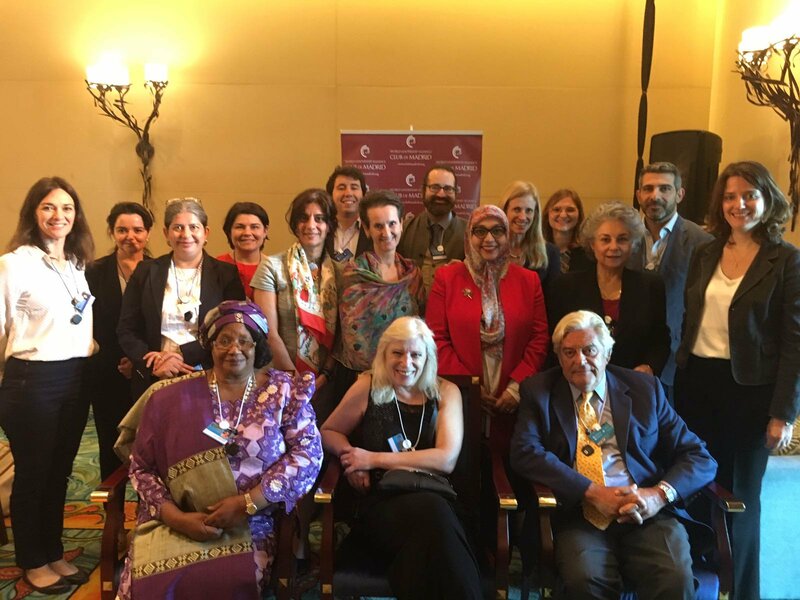 World Leadership Alliance - Club de Madrid (WLA - CdM) held in Dubai on March 16 an Experts Task Force Meeting, just prior to the Global Education and Skills Forum 2018 (17-18 March) with the participation of WLA-CdM Members Joyce Banda (former President of Malawi), Luis Alberto Lacalle (former President of Uruguay), Zlatko Lagumdzija (former PM of Bosnia and Herzegovina) and Iveta Radicova (former PM of Slovakia). This meeting served as a kick-off to our new initiative called ‘Education for Shared Societies’. The overall objective of this new area is to channel the collective knowledge of multiple stakeholders, WLA - CdM Members, and experts, towards a set of policy proposals highlighting education as a tool for building inclusive and peaceful communities from a Shared Societies perspective. Its main outcome is expected to be a clear and strong Call to Action on Education for Shared Societies, seeking to mobilise political will to generate action in this context. This activity served as a brainstorming to fine tune the work going forward, identify possible stakeholders and participants in the process and define both expected deliverables and a 'landing pad', so that the process can contribute to transformative policies and practices in the field of education. The meeting gathered WLA - CdM Members, together with 30 representatives from governments, experts, policymakers, educators, media and humanitarian workers that aim at putting forward discussions how education can become a better tool to build more inclusive, peaceful societies. In addition, WLA-CdM Members met with the Members of the Atlantis Group to discuss ideas for the initiative and potential areas of collaboration to advance it further.